University of Illinois Springfield (UIS) Theatre is excited to announce its production lineup for the 2017-2018 academic year. During fall 2017, the program will present “Machinal” by Sophie Treadwell. The spring 2018 production will be “Six Characters In Search Of An Author”, by Luigi Pirandello. The program is also bringing back the popular “Student-Directed Scenes” in December 2017. “Machinal” will be performed six times, Oct. 27-29 and Nov. 2-4, 2017, in the Studio Theatre, lower level of the Public Affairs Center. Missy Thibodeaux-Thompson, UIS associate professor of Theatre, will direct the production. Dathan Powell, UIS assistant professor of Theatre, will be the scenic designer and technical director. Open auditions/crew interviews will be held September 5-6, 2017, in the Studio Theatre. Callbacks will take place on Sept. 7. Auditions and crew positions are open to students, faculty, staff, and community members. Check www.uis.edu/theatre/auditions/ for times and information. Some of the crew positions include stage manager, props crew, sound research, costumes, dresser and running crew. “Machinal” is an expressionist play inspired by the sensational 1927 New York murder trial of Ruth Snyder. “Machinal”, told in nine episodes, focuses on a young woman, as she navigates the oppressive, mechanized, hard society and the cultural expectations placed on her – and all women at the time. Treadwell takes the young woman through the stages of a kind of modern everywoman: work in a boring office, marriage to a boss who offers financial security, a motherhood that oppresses her, and a lover who abandons her. The spring production, “Six Characters In Search Of An Author”, will be performed April 13-15 and 19-21, 2018, in the Studio Theatre, located on the lower level of the Public Affairs Center. UIS Associate Professor of Theatre Eric Thibodeaux-Thompson will direct with scenic design by Assistant Professor of Theatre Dathan Powell. Open auditions/crew interviews will be held Jan. 21-22, 2018, in the Studio Theatre. Callbacks will take place on Jan. 23. Auditions and crew positions are open to students, faculty, staff and community members. Check www.uis.edu/theatre/auditions/ for times and information. The UIS production of “Six Characters” will be the Robert Brustein 1998 adaptation of the original 1921 piece. The story follows a group of theatre artists as they rehearse a known play, and are interrupted by six characters from another play, which its author never finished. These six characters find themselves in a purgatory of sorts, trying to find a “home” in which their stories can live. Pirandello’s play reminds us that all great art takes on a life of its own, after being created, and we are challenged to find meaningful difference between a work-in-progress and its eventual effects on audience members. Also back this fall, students enrolled in Directing for Theatre will present their work in “Student-Directed Scenes” performances. They will be held December 4-5, 2017, in the Studio Theatre, located on the lower level of the Public Affairs Center. Open auditions/crew interviews will take place in early November. Check www.uis.edu/theatre/auditions/ for audition details. 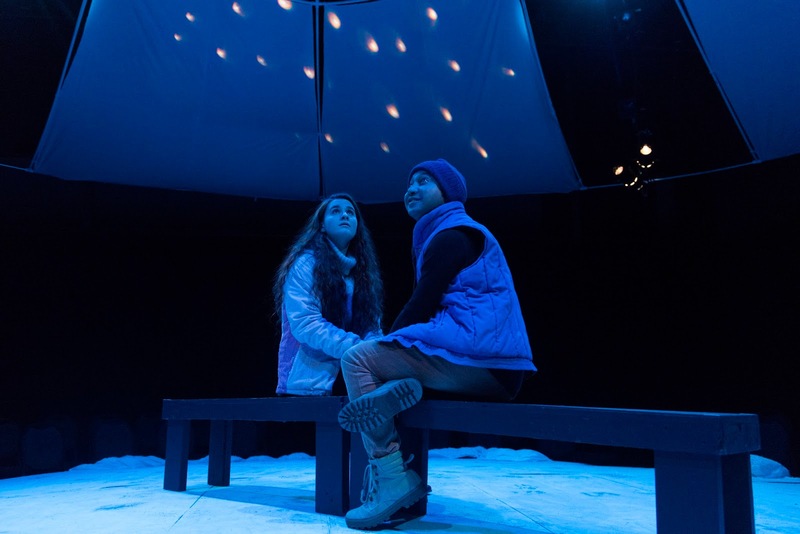 “Student-Directed Scenes” showcases students’ final projects, which will include an interesting variety pack of scenes from contemporary American plays. The curtain time for Thursday, Friday and Saturday night shows is 7:30 p.m. with the Sunday performance starting at 2 p.m. Ticket prices are $14 for general admission, $12 for senior citizens (65 or older with a picture I.D. ), $10 for UIS faculty/staff and $8 for UIS students (and all other college-level students) with a valid, current i-card or college I.D. card. For more information, on the upcoming season, please visit the UIS Theatre website at www.uis.edu/theatre/. WHAT: The University of Illinois Springfield will host a lecture on “The Impact of Hydroelectric Dams on Aquatic Communities,” by Professor Luiz Felipe Machado Velho from the Universidade Estadual de Maringa. The event is free and open to the public. WHEN: Monday, July 17, 2017 at 2 p.m.
Velho and four UEM students are spending three weeks studying restoration projects in the Illinois River floodplain. Their hosts at UIS include Keenan Dungey, UIS associate professor of chemistry, Michael Lemke, UIS professor of biology, Jonathan GoldbergBelle, senior director of UIS International Programs. Additionally, five UIS students are participating in the program. All participating students recently collected samples from the Therkildsen Field Station at Emiquon and will be comparing their results to those based on samples they collected on the Parana River in Brazil last month. “This exchange program builds on our 10-year collaboration with the Universidade Estadual de Maringá, creating additional student research opportunities, sharing our aquatic ecology projects with a broader audience, and contributing to public policy on river management,” said Dungey. It is expected that the eight Innovation Fund grants, handed out internationally in 2016, will result in 115 students studying abroad, preparing them to be more globally competent for the 21st century workforce. For more information, contact Derek Schnapp, UIS director of public relations, at 217-206-6716 or dschn3@uis.edu.